Every GNO inevitably leads to that long (sometimes hours) convo — yes, we mean the trials and tribulations of dating. We've heard a slew of excuses for why our sisters are still single — her bustling career, the last guy's bad B.O., and, most commonly, the City of Angeles. We're positive that if you poll the female population from every major metropolis, you'd gather that the unattached are sans significant other due to the dull dating pool. 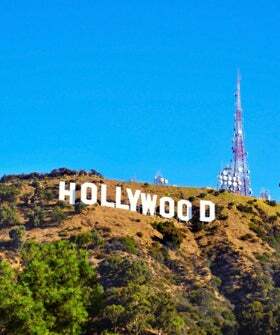 But, if you've ever been to dinner with a Hollywood exec or an out-of-work actor, you'll quickly realize that Hollywood is home to a particular breed of crazy characters. According to JC Coccoli, a HelloGiggles writer, the reason that L.A. folks can't seem to land a legit date is that our neighbors are "trying their hardest to live their dream and, in the process, forget what it’s like to be a good, caring, human with morals and, like, a beating heart n’ stuff." While she's quick to point out that not everybody falls into this category, it ain't easy to find "the one" from the remaining prospects. So, what's a gal to do when Match.com or that friend-of-a-friend yields less than lackluster results? Rather than stay at home with your buds Ben and Jerry next Saturday night, it's important to accept our town's wide range of residents. Almost everyone here may be starry-eyed, but that doesn't mean you should give up — if anything, it means you'll have plenty of material for brunch with your BFFs!